Let’s give it up for the folks at Good Housekeeping because they saw fit to release their first-ever This Is Us-focused fan issue. Best of all? 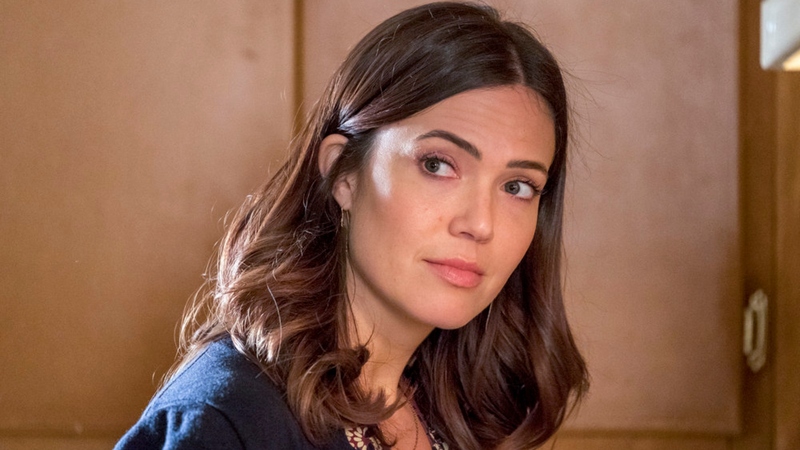 It’s full of super-juicy plot teasers, including Mandy Moore teasing the impact of “her” on This Is Us. Finally, after all this time we get a bit more context about the show’s most mysterious storyline, right? Well, sort of. While Moore doesn’t necessarily share anything too earth-shattering, she does imply that “her” will have serious ramifications for the Pearson family and This Is Us in general. Eesh, this sounds like it is going to wreck us. Can we not discuss the show’s end just yet? We’re not ready! But as intense as Moore’s comments sound, though, she assures readers that fans of the show won’t be disappointed. “People will be sufficiently satisfied. It all makes sense, and it’s all real. We know where we’re heading, it’s been the plan all along, and we’re just slowly, out of order, getting there,” she shares. So, basically, if you’ve been harboring the theory that somehow the “her” storyline is part of an elaborate dream sequence, you can stop now — note how Moore specifically pointed out “it’s all real.” That certainly seems to feed into the fan theories that Rebecca (played by Moore) is “her” and, even worse, she’s dying. Technically, she would be in her 80’s at the time of the flash-forward that first referenced “her,” so it wouldn’t be a stretch to imagine she has fallen ill or is near death. Plus, her death would signal a logical ending point for the show, considering both of the main characters, Jack and Rebecca, would have passed. Fortunately, the show is only in its third season and has already been renewed for more. This means that there is likely still much to be explored before we fully find out the fate of the “her” situation. For Moore, her hope is that season four shows viewers how Rebecca reclaims herself as the Pearson kids get older. It certainly sounds like This Is Us’ fourth season is going to honor the show’s tradition of taking fans on an emotional rollercoaster (that ends in fans ugly crying on the couch, obviously).